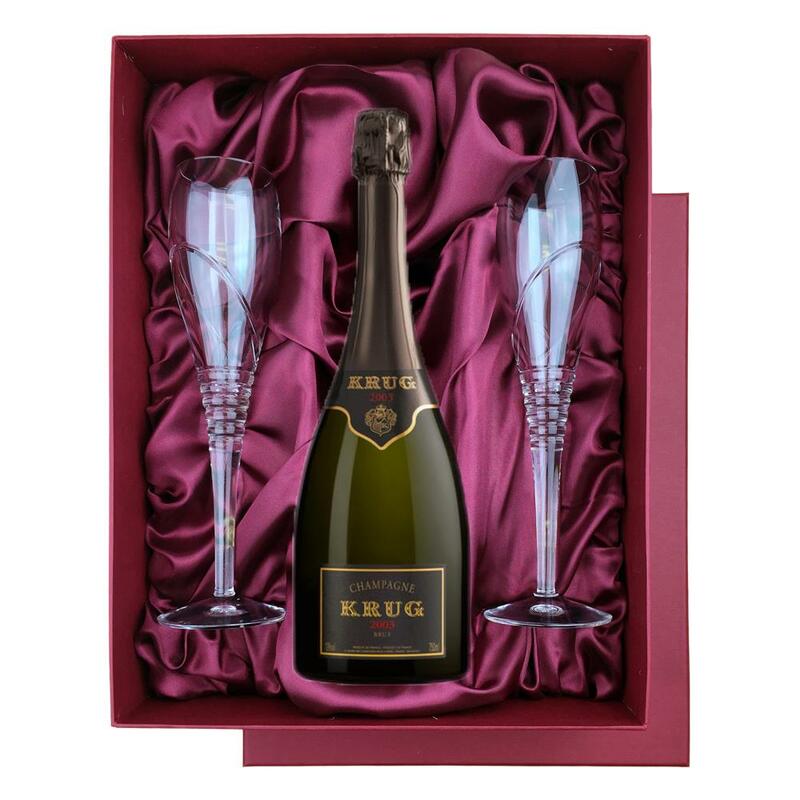 A bottle of Krug Prestige, 75cl, Vintage, 2004 Champagne and two beautiful Saturn cut hand made flutes all supplied in a Burgundy luxury presentation box, lined with satin. 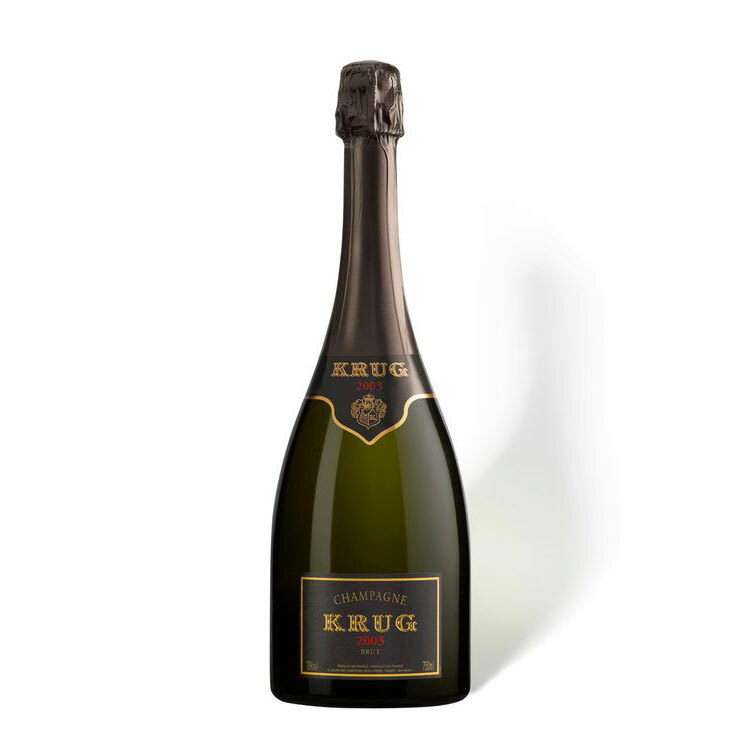 Krug Prestige, 75cl, Vintage, - Send a single bottle of Krug Prestige Vintage, , Champagne (75cl) Presented in a stylish Krug Gift Box with Gift Card for your personal message - The King of Champagnes - this Vintage has a rich, seductive, citrusy, full-bodied taste. This product is hand packed onsite by Gifts International, and is not affiliated with any other brand. Gifts International is responsible for this product combination/set.